I have to give props to Rocketcat Games for creating a game that somehow feels familiar, but so unique at the same time. I know that sounds slightly strange to hear, but that really is the way it feels playing. It’s a top-down 2D game with roguelike RPG elements and shooter games thrown in for good measure. Permadeath is present, as are multiple playable characters, among many other elements. There are more layers to the game than at first glance and as such, you won’t quite know what you’re doing to start with, so you will just start playing as you would any other, choosing an option that pops up. You’ll think you’re doing well but then realise you’re low on a lot of essential items, somebody will get infected and you won’t know how to cure them. To cut a long story short, you won’t get very far in your first playthrough, nor will you in your second and maybe third, it is only after playing multiple times that you will realise what tends to work, what doesn’t work so well, what you should be looking out for and how to properly utilise the tools given to you. What this also essentially means is that every playthrough is different, because you’ll always be trying new things and the slightest change you make can and will alter things in one way or another. One thing is for sure, when I first started playing, I thought that every playthrough would be pretty much the same, so I would have difficulty convincing myself to want to try again, because not many of us want to play the same thing over and over again, but it’s not really like that. In that sense, it’s certainly a surprising game, to say the least. Your objective is simple in premise, you have to survive your journey to Canada. As the name implies, in order to get to Canada, you are required to travel via a road that is filled with a lot of things that want you dead, it’s like the worst road trip you could imagine. On your travels, you must make decisions that might not seem that big or important first time around, but you will come to realise that they, in fact, have quite a big bearing on how successful you are in your excursions. When choosing what the next plan of action is, you are given a small panel of information such as your survival chances, the time of day and how many zombies there may be. What this allows you to do is carefully strategize before you head out. Each one of these decisions you make comes with different risks and rewards. You might be given a choice to stop for fuel or just drive on. Of course, if you stop for fuel then you will be gaining a valuable resource, but you might die in the process, rendering the trip pointless. The easy option, in this case, is to just carry on, but of course, this uses up fuel, which will be indicated to you. Going forward you might come across very little fuel during your next few stops before you know it, you’ve run out of fuel and that’s all because of the decision you made earlier to carry on driving rather than stop. This can be slightly annoying if it means it ruins an otherwise decent run, but it’s the nature of the game and it just means you have to really think about your decisions. Getting to grips with the basic gameplay is fairly straightforward. It almost plays like a very slow version of Hotline Miami, which actually makes it a bit more accessible as the controls are very easy to pick up and play. You have a wide array of melee weapons you can pick up and there are pros and cons to them all. Wooden weapons will eventually break with overuse, whereas something like an iron pipe will cause your character to fatigue the more you swing. Guns are also present but as you would expect in a game like this, ammo is limited, but they’re great if you’ve found yourself in a bit of a pickle. Explosives are even rarer and therefore are used (at least for me) when you feel like you really have no other option and need an escape one way or another. Because of the slow nature of the game, any mistakes made can’t really be labelled towards the game, it’s mostly human error. That doesn’t mean the game doesn’t sometimes feel unfair in terms of difficulty, because it, unfortunately, does at times. You can be breezing through and then all of a sudden the difficulty will ramp up a ridiculous amount, depriving you of success. 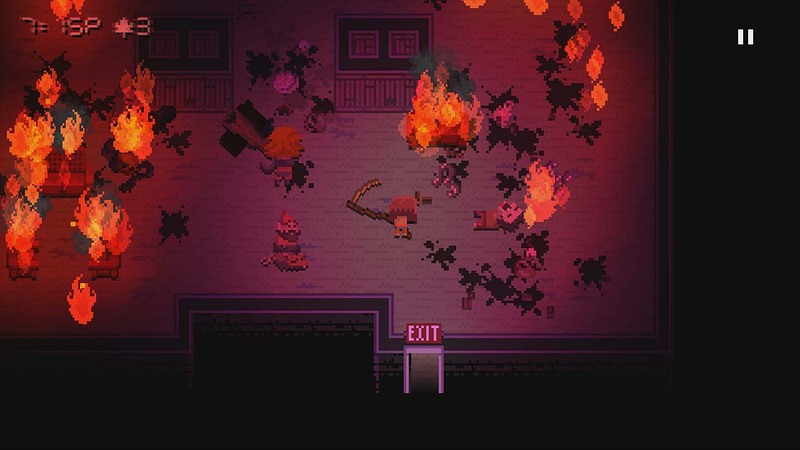 The enemies in Death Road To Canada, by themselves, don’t really pose that much of a threat, it’s when they start all grouping together that you’ll start to feel in big danger. One minute there may only be a few zombies in the building and then all of a sudden you will start to see more and more zombies stumble through doors, leaving you with little room for manoeuvre. Death Road To Canada is best played in short bursts because the game is simply designed like that. You might only have a run that lasts for 10 minutes, or you might just want to get to the next section and pick it back up another time. Of course, this means that the game is absolutely perfect for the Switch, being able to simply pick it up short bursts and then set the system to sleep means I get to play this game a heck of a lot more than if I was bound to the TV. I have to say, I enjoyed Death Road To Canada much more than I ever thought I would, which is bad on my part. It isn’t meant to be played as some epic journey that you play for hours at a time and that’s not a bad thing. Every run in the game is different, meaning that it doesn’t get as tedious or tiresome as other games that require you to start over from scratch when you die. But I have to admit, that feeling isn’t completely absent here. Having said that, because the runs are so short, it doesn’t feel as demoralising as it does elsewhere. The tough difficulty spikes found can be off-putting, but if you love a good challenge then this could be the game for you. Death Road To Canada is easily one of my favourite surprises on the Switch currently.